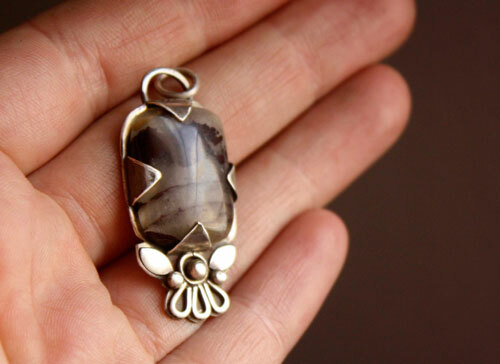 This pendant shows an iron jasper and sterling silver patterns reminding of a garden. 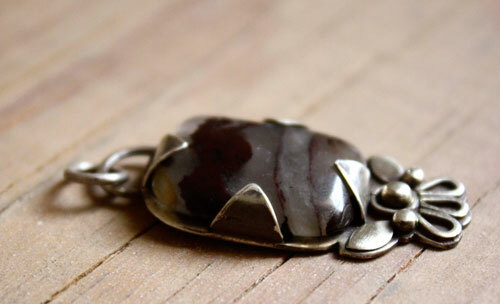 I called it Loha because of this iron jasper that I set here. 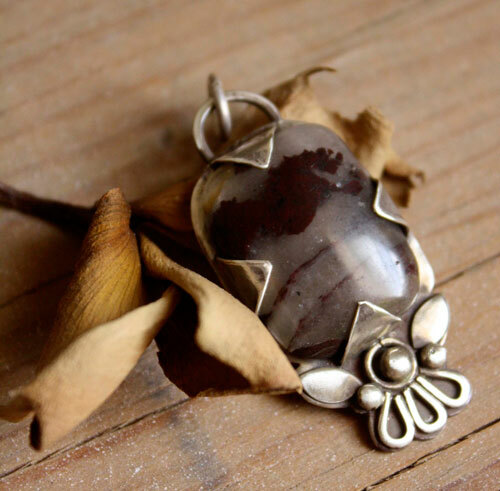 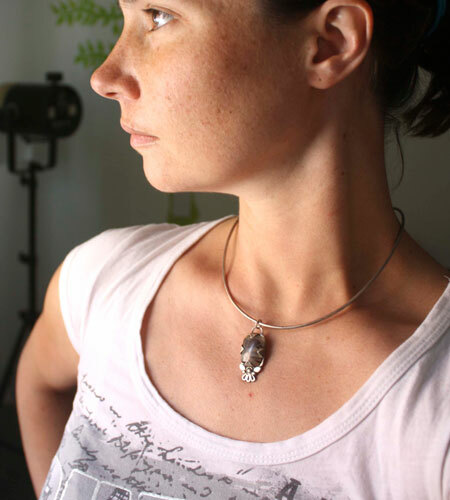 It gives contrast and harmony with the oxidized sterling silver. 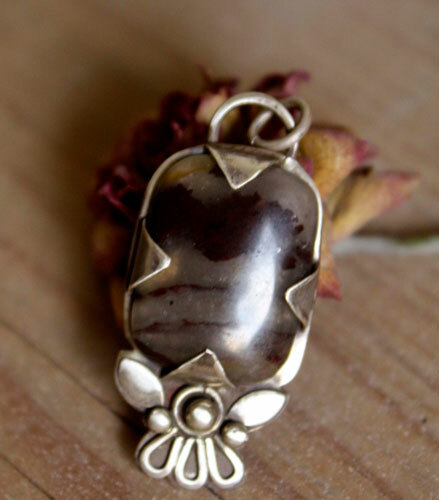 This pendant measures about 4 x 1.5 cm.